Hands up if you are more interested in finding out how my son scored full marks for his English oral exam for Semester 1 than reading more about my book, 'Got Kids, Go Where?'. But before you go screaming 'CLICK BAIT!' and all, it definitely happened. The son in question? Ayd, but more on that later. Allow me to first give a little background story on how my book came about. Sometime in April last year, I was invited to pen a Foreword for Armour Publishing's 'Keep Calm and Father On' book, a collection of 399 quotes from around the world and across time - some of the best things that have ever been said about this magical journey called Fatherhood. 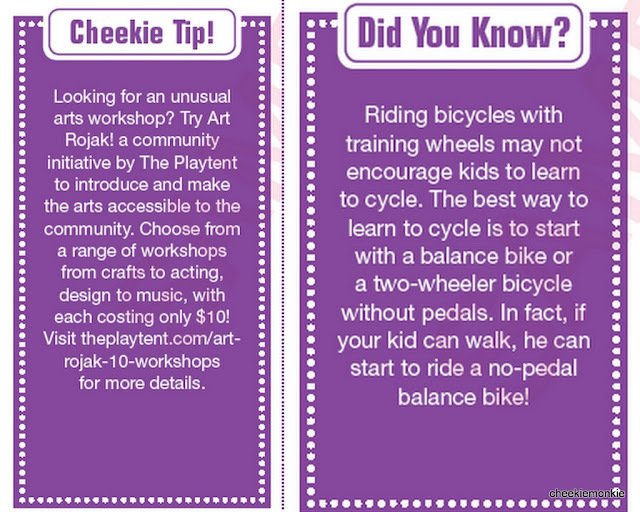 Then the Managing Editor asked if I would be interested in authoring a book about activities in Singapore that parents would be able to do with their kids... and not just 10 or 100 activities, mind you but FIVE HUNDRED! Frankly, the first thought that came to my mind was why would anyone want to buy a book written by me??? 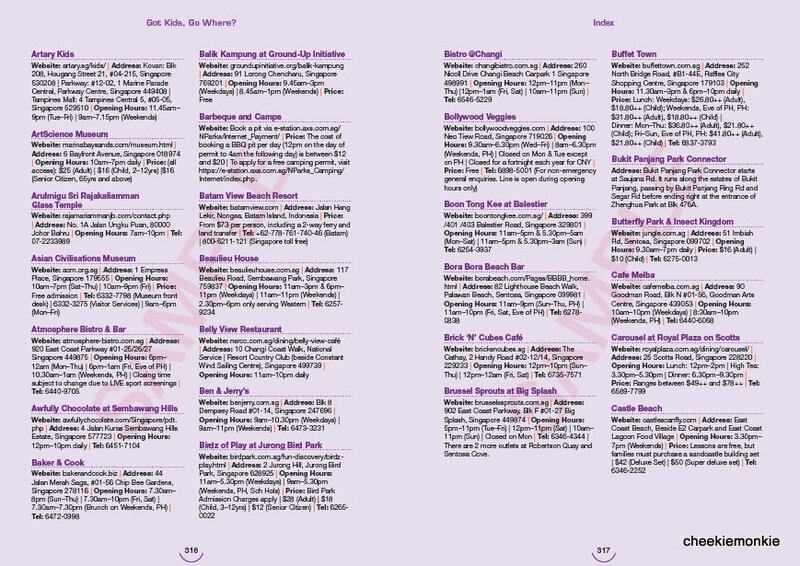 Of course, the daunting task of compiling 500 activities into a handy book equally loomed in my mind as well. But the excitement of possibly having my work published and becoming an author probably made the process easier. And so, the research phase began in earnest. From the beginning I knew that I wanted to write a book that was not just a collection of blog posts on activities I had written. 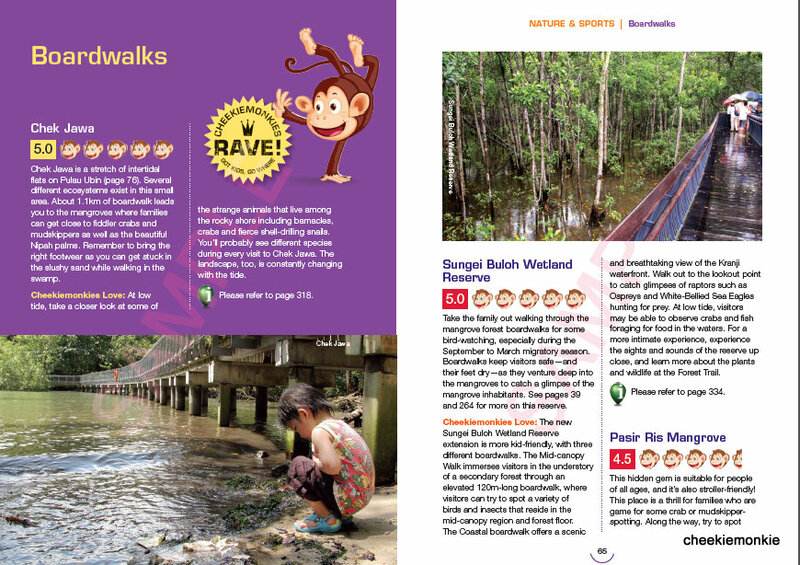 Rather, I wanted my readers to have something different so I began to involve my monkies in the research process. Once I had identified the 50 chapters in the book, I started short-listing the places and activities that could fit into the various chapters. And there began our 5-month of dragging the monkies to every corner in Singapore whenever the weekends roll along. Whether it was play, heritage, nature, eating places, or travel ideas, the monkies were with me while I took notes and snapped photos for the book. Speaking of photos, I had wanted the photos in the book to be of a personal nature so all of the photos in the book were taken by me. Once the visits had been completed, I then sat down together with the monkies (mainly Ash and Ayd) to assign a cheekiemonkie rating ranging from 1 to 5 - with 5 being the most awesome on the scale - for each activity and attraction. They even chose the best of the lot (otherwise known as the RAVE!) in each chapter. As an added bonus, I also included various 'Cheekie Tip' and 'Did You Know' information boxes within the book! 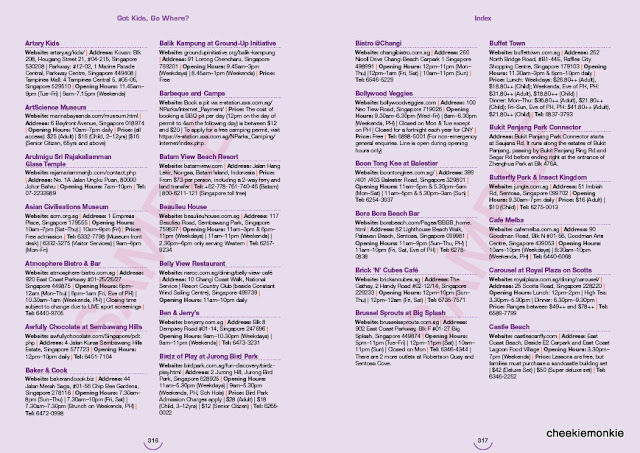 Oh, and it comes with an Index section with information such as addresses, opening hours and fees - just for that extra convenience! After a further 3 months of editing, my book was finally sent to the printers! Around that same time, Ash and Ayd sat for their Mid-Year English Oral Exams... which the wifey and I did not exactly prepare them much so it came as a complete shock (in a pleasant way) when Ayd came back one day announcing he had scored full marks for his English Oral! I mean, who scores FULL marks for an oral exam??? This was definitely a first to me. I asked Ayd what was the topic he spoke about and he replied that the question which his teacher asked him was, "What do you do during the weekends?" Ah, no wonder. After 5 months of dragging the monkies everywhere in Singapore during the weekends, I will have presumed that he would have loads to tell! Lol. Even Ash performed rather well too, scoring 14 out of 16 marks for his oral exam! Perhaps it was fortunate that the topic for the oral exams was close to Ayd's heart but I have always believed in experiential learning, or learning through experience. The outdoors offers a lot of learning opportunities for kids, and skills that one cannot learn in the classroom. So I would like to think that all our outings as a family contributed to the boys' exceptional performance in their oral exams. So while I would not go so far as to claim that your child will score full marks for his oral exams if you buy my book, I can safely tell you that the best place for a kid to learn is outside. 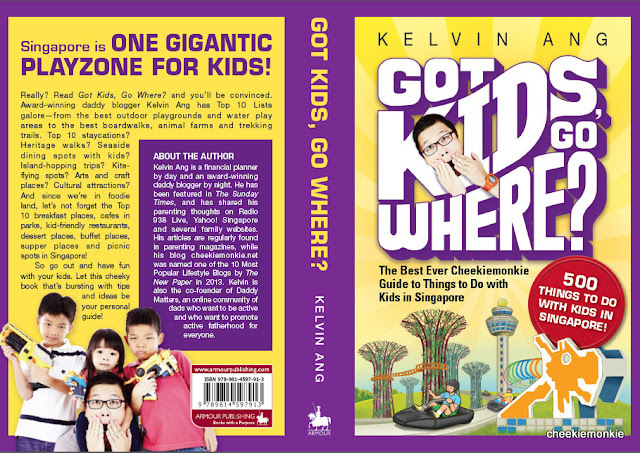 And the next time you have a head-scratching moment and drawing a blank as to where to bring your family during weekends or school holidays, 'Got Kids, Go Where?' will be that quick saviour that you need. Cool, thanks for your support!! !